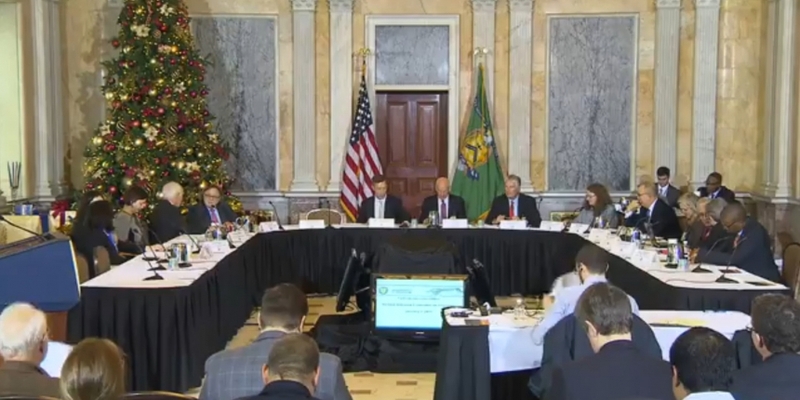 An advisory council to the US Treasury Department met last week in Washington, DC, to discuss the application of blockchains in the insurance market. While the discussion itself was relatively brief (taking place in the middle of a nearly three-hour meeting), it did offer a window into the perspective being taken by some of the stakeholders on the council, as well as the government department itself. Matt Higginson, an associate partner for management consulting firm McKinsey, led a presentation at the hearing during which he offered an expansive view of the technology as well as a bird’s-eye view of the insurance industry’s experimentation with blockchain to date. McKinsey released a report on its insurance industry findings last summer. One key takeaway – for now, is that many insurers remain in that testing phase. The past few months have seen a range of initiatives launched by insurers, particularly based in Europe, centered around collaborative efforts and research. During a brief question-and-answer session, panel members asked about areas like competition among insurers in a blockchain environment, as well as the steps taken to shore up privacy among network stakeholders. On that last point, Higginson went on to say, is that the technology’s nature leaves control of information in the hands of those who are supposed to have it.